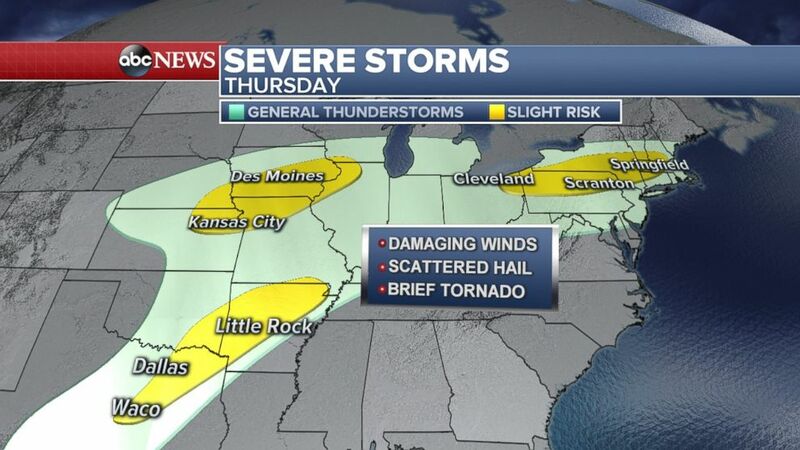 (ABC News) Three pockets of severe storms are possible today from Texas to the Northeast. 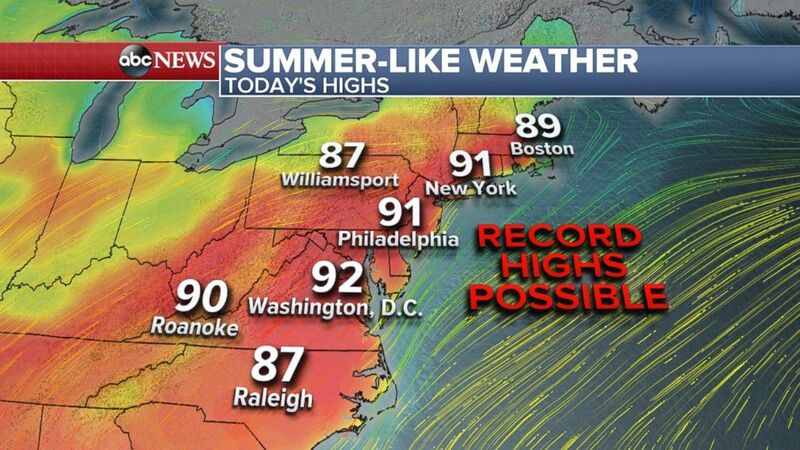 (ABC News) More record heat is expected from D.C. to New York on Thursday. 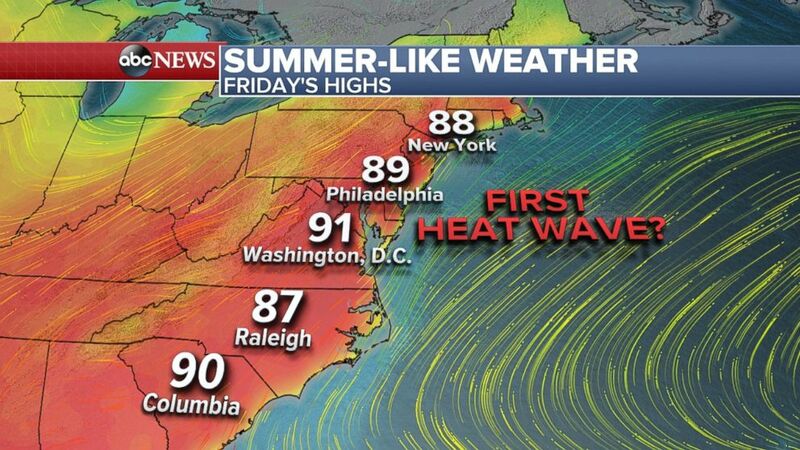 (ABC News) With the third day of 90s in the Northeast possible on Friday, it could be the first heat wave of the year. 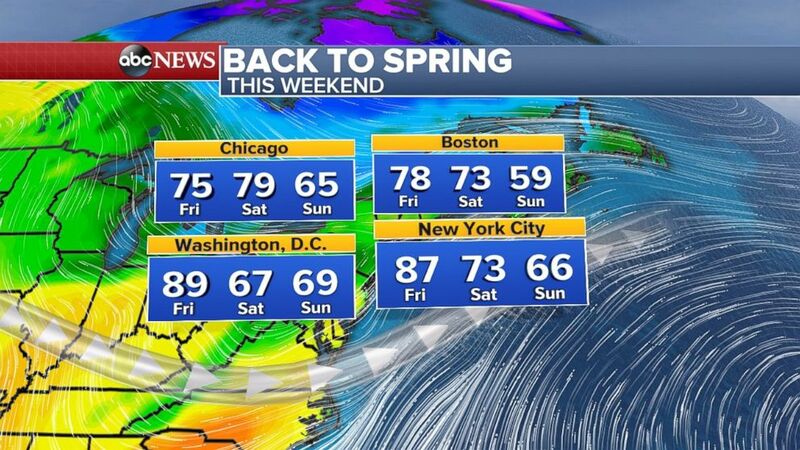 (ABC News) Weekend temperatures will be a bit more spring-like.